Hybrids like the 2016 Honda CR-Z are a harder sell than they used to be, at least to those who purchase them with hopes of cutting their fuel budget. They made more sense when gas prices appeared as if they’d never stop climbing, but after last year’s oil crash we’re all questioning the financial need for automotive electrification. There are environmental considerations, of course, although while most of us talk the talk of greening our world, it’s another story when it comes to walking the walk. Hybrids are more expensive, after all, and most this side of a Ferrari LaFerrari, Porsche 918 Spyder or McLaren P1 aren’t all that exciting to drive. At least that was my experience prior to spending a week with the updated CR-Z. Combining great fuel economy with sporty driving dynamics has always been the premise behind the Honda CR-Z, but to be honest I never thought it offered enough on the fun meter to be taken seriously by enthusiasts. The 2016 version, however, gets some sweet styling enhancements and mild suspension upgrades to go along with the shot of adrenaline you probably didn’t realize it received three years ago. The visual changes are subtle, but effective, including a completely reworked lower front fascia with a black lacquered centre lip spoiler that curves up in a V-shape as it tapers off at each corner, just above the circular fog lamps. New front fender bodywork with edgy styling sets an angular theme that continues rearward into carryover extended rocker panels and a new rear bumper cap that’s sharply shaped like the front end, with a blackened diffuser added in the middle. More glossy paint hides the front roof pillars and centre portion of the rear deck lid, making both look as if the tinted glass wraps all the way around. A stylish set of machine-finished 17” alloy wheels round out the upgrades, while the CR-Z’s black mesh grille, LED-enhanced headlamps and red/clear-lensed taillights were part of the extensive 2013 update and therefore still look plenty fresh. All of these black trim bits contrasted nicely with my tester’s Ivory Pearl paint, which is a good thing since the 2016 Honda CR-Z is once again only available in this single exterior colour. Black, blue, red, and yellow were discontinued after the 2014 model year. Just one colour might seem extreme, but it makes sense once you realize the CR-Z is not only the worst-selling model in Honda’s expansive product portfolio, but also the fourth slowest-selling model in Canada overall last year. The 2015 calendar year was especially unkind to the CR-Z, with sales down 45% to just 55 units compared to 100 the year prior, and 517 during its first full year of sales in 2011. Part of the reason for its steep decline was mentioned in the opening paragraph. The car looks like a reincarnated Honda CRX, but performance didn’t meet expectations while fuel economy wasn’t good enough to woo original Insight hybrid buyers that might’ve anted up to fill the void created by uninterested performance fans. Don’t get me wrong, at 7.9L/100km city and 6.5L/100km highway with the 6-speed manual gearbox or 7.0L/100km city and 6.4L/100km highway with the CVT, the 2016 Honda CR-Z is very fuel-efficient when compared to just about anything remotely fun to drive. However, consider the larger, five-seat 2016 Honda Civic Coupe LX, which delivers 28 more horsepower, yet doesn’t require complex hybrid technology to achieve fairly similar fuel economy at 8.9L/100km city and 6.1L/100km highway with its manual transmission or 7.8L/100km city and 5.8 L/100km highway with its CVT. Better yet, the Civic Coupe EX-T and Touring models are even more powerful while achieving even better mileage at 7.5L/100km city and 5.6L/100km highway, albeit only with a CVT. To leave the argument here wouldn’t do the Honda CR-Z justice, however, as this new version deserves a lot more attention than it’s been getting. First of all, it’s a fairly light two-seater weighing in at 1,232 kg (2,716 lbs) as tested compared to 1,317 kg (2,903 lbs) for the similarly equipped Civic Coupe Touring. Also, the CR-Z’s 1.5L 4-cylinder engine with Integrated Motor Assist (IMA), consisting of a DC brushless electric motor and 15kW lithium-ion battery, actually produces 2 lb-ft more torque than the base Civic Coupe when mated to the standard 6-speed box. Said torque comes on very quickly thanks to near-immediate electric twist (from 1,000-3,000 rpm). As for the 130 horsepower, it sure doesn’t sound like a lot, but the car feels much more alive than its specs suggest, sounds fabulous with a nice raspy note as the revs climb, and is blessed with a dream-like manual shifter. I love automakers that still feel strongly enough about driving dynamics to include a real stick shift and associated clutch pedal in their sportier offerings. Honda offers a manual in all six of its car models (soon to be seven with the upcoming Civic Hatchback) and even one of its SUVs. Honda’s road cars are often cited by industry professionals for having the best manual transmissions anywhere, and I have to agree. While the 6-speed unit in the 2016 CR-Z is not quite as sublime as a Civic Si’s shifter, it still proves superb and bests anything from Germany. The CR-Z’s handling, however, won’t leave a 911 haplessly pitching stones in the gravel trap. It’s a tad soft through transitional maneuvers, rolling a bit too much for my liking despite the mild suspension upgrades mentioned earlier. These include a front stabilizer bar that’s grown from 19 mm to 20 mm in diameter and a rear track that was increased by 10 mm. Meanwhile, the brake rotors have been enlarged to 282 mm up front and 259 mm at the rear. The more softly sprung setup could likely be remedied if Honda chose not to build a one-size-fits-all model and instead offered a sport suspension upgrade, our market’s single trim doing a wonderful job of ironing out pavement imperfections and therefore providing an enjoyable everyday ride for two, but not the canyon carver its styling teases at. Still, body roll and all, I enjoyed every minute behind the wheel of the 2016 Honda CR-Z. The 205/45R17 Michelin Pilot Sport 3 summer performance tires were plenty sticky and therefore the car held its line through some of my favourite circuitous two-laners despite feeling slightly sloppy doing so, while that wonderful powertrain rewarded with 100% enthusiasm mile after enjoyable mile. I had so much fun with the CR-Z that I probably wouldn’t have minded if its interior were cheap and tacky, but nothing remotely nasty plagued this well-built little two-seater. Really, it’s premium all the way, with pliable synthetics across the main portion of the instrument panel and door uppers, nice perforated leatherette for the door inserts, and even softer stitched leatherette over the armrests, side and centre. The steering wheel gets the stitched leather treatment, too, but it could’ve been a lot sportier as it was missing indented thumb spats in the usual 9 and 3 o’clock positions. Its spokes get filled with the necessary audio and cruise buttons, mind you, plus phone, voice activation and an S+ controller for actuating an instant boost-like Sport mode. Incidentally, full Sport mode adds a red sheen to the primary gauge, the big tachometer at centre stage, which is normally left bright electric blue just like the various digital readouts on the rest of the main cluster. Over on the abbreviated centre stack is one of the smallest automatic HVAC panels I’ve ever seen, its single-zone setup merely one rotating temperature dial with an “AUTO” button at centre, A/C, mode, fan speed, and power buttons surrounding, plus glossy black defog, defrost, and recirculation toggles to the right. The infotainment screen positioned just next door is large and filled with features such as a multi-angle rearview camera with active guidelines, Honda’s fabulous LaneWatch blindspot display that shows a rearward passenger-side view when flicking the right-side turn signal, SMS- and email-to-speech, Siri Eyes Free, Link Connect, navigation, and a great sounding 360W AM/FM/CD/MP3/WMA/HD stereo with seven speakers. A row of infotainment connectors sits farther down on the lower console, including the usual 12V power outlet as well as two USB ports and an HDMI plug, while a carpeted bin provided a place for my phone. Two-way seat heaters offer toasty warmth in their highest position, while the two seats they warm are upholstered in leather and stitched with sporty light grey contrasting thread. They’re very supportive, incidentally, their side bolsters particularly good at keeping the backside in place during hard cornering, while a neat set of package bins sit in behind where rear passengers normally reside. You can flip the plastic backing down flat to increase the cargo bay’s size to a surprisingly large and useful 711 litres, which is more than twice the size of the Civic Coupe’s trunk. Along with its single exterior colour, the 2016 Honda CR-Z only offers one option, namely the continuously variable transmission noted earlier, while standard “Premium Package” kit not already mentioned includes auto on/off HID headlamps, LED daytime running lamps, LED turn signals integrated within the side mirrors, proximity access with push-button ignition, an electromechanical parking brake, a tilt and telescopic steering column, steering wheel-mounted controls, aluminum sport pedals, cruise control, variable intermittent wipers, a cargo cover, a tire repair kit, all the usual safety features, and more. The only serious negative to all this happy talk is a rather poor side-impact crash test from the NHTSA resulting in three stars out of five, although frontal crash tests resulted in a four-star rating and rollover tests were a perfect five out of five. The IIHS offers a more favourable view, with top “Good” marks in all of its four tests including the challenging moderate front overlap, side, roof strength, plus head restraints and seats. A better part of the 2016 Honda CR-Z story is its impressively low $26,290 entry price, the optional CVT adding just $1,300. This is a lot of advanced hybrid sports coupe for such a small price, not to mention one that’s endowed with a level of exclusivity to rival a Rolls-Royce Wraith. You might not get the envious leers that the British ultra-luxe model attracts, but the CR-Z still got its fair share of positive attention from passersby. It’s a standout car filled with high-tech, luxury kit and plenty of fun-loving performance that should normally pull many more buyers than it does, making me wonder what Honda has to do to get more Canadians sitting up and taking notice. Possibly a racing series like Nissan’s Micra Cup? A little suspension tuning and a less restrictive exhaust would be all that’s needed to make the CR-Z a track star. Until that happens, don’t overlook the Honda CR-Z. It’s an affordable hybrid that’s fun to drive. 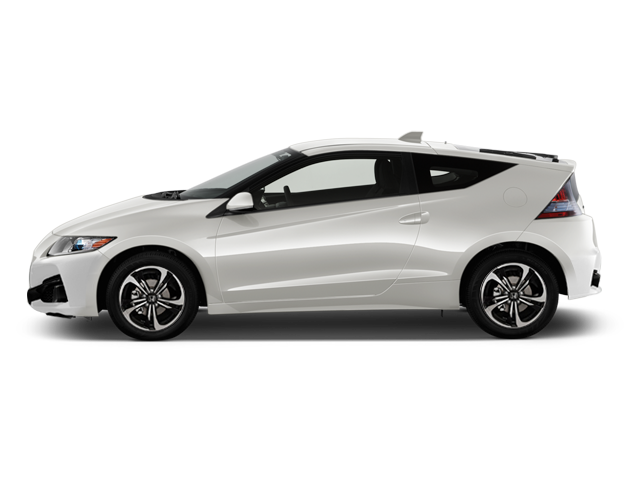 As the new Accord Hybrid and Clarity fuel cell sedan join the Honda lineup in North America, the sporty little CR-Z hybrid will be dropped.